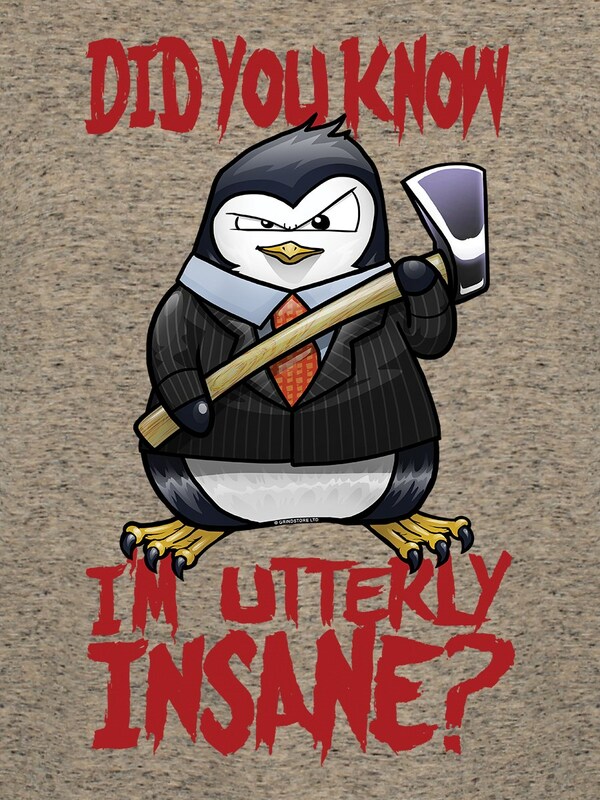 Did you know, I'm utterly insane? 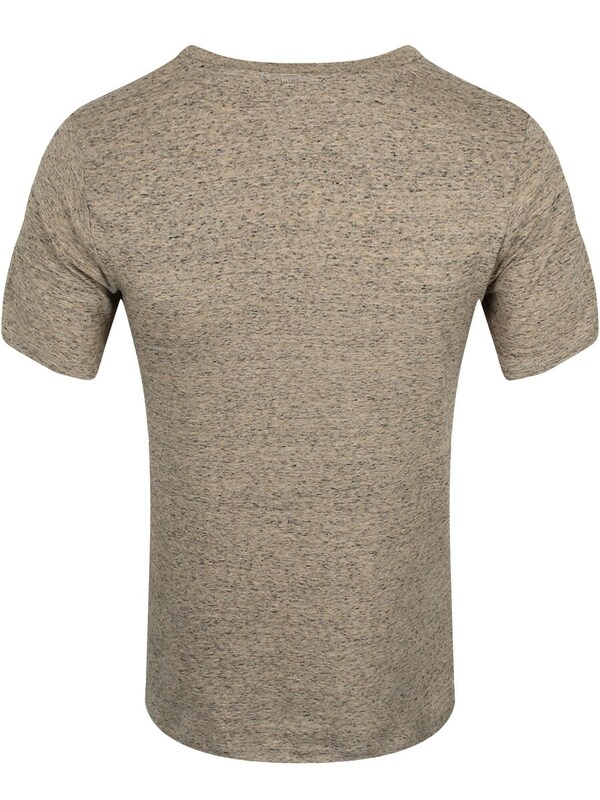 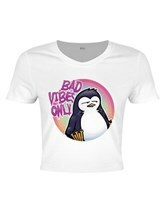 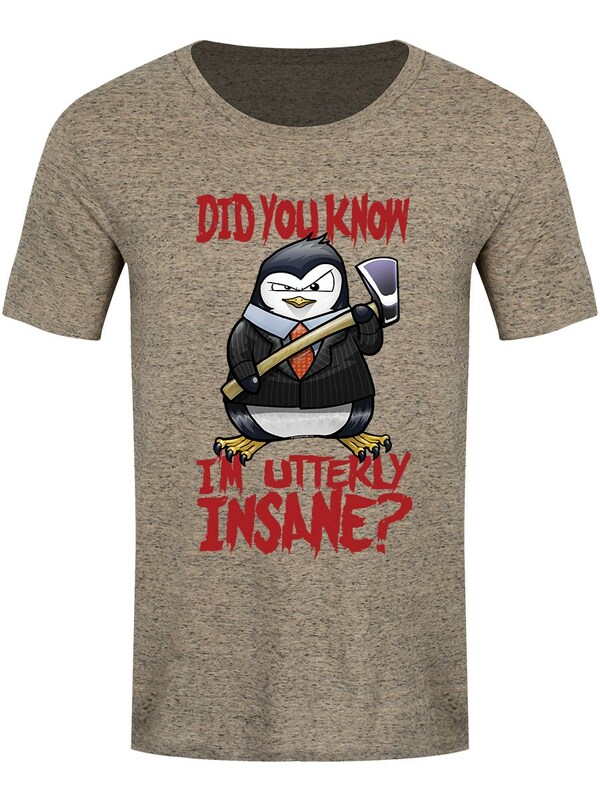 Taking inspiration from one of his biggest idols, Patrick Bateman, this t-shirt sees Psycho Penguin wearing a smart suit and wielding an axe, framed by an infamous quote from the classic slasher/dark comedy film! 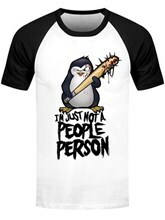 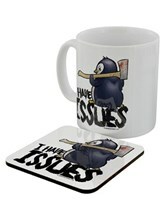 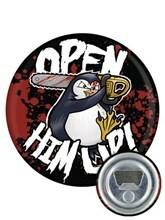 He may not be American, but this penguin is definitely Psycho!